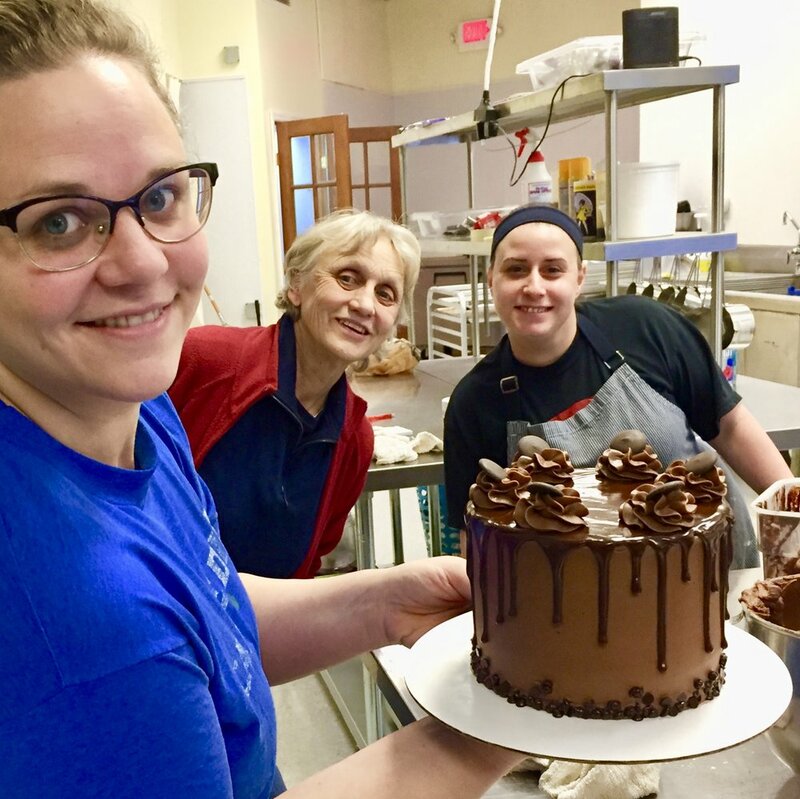 350° Bakery is a small-batch bakery in Pittsburgh, PA specializing in wholesale, personal orders and event catering. We make classic homemade treats that take you back to childhood- flaky pies, layer cakes, fudgy brownies, cookie sandwiches- we've perfected all your favorites. At 350º, everything starts with amazing ingredients. We always use organic local eggs as well as fruits and vegetables from local farms. Dairy products are local and free of hormones, and all ingredients are carefully sourced to produce baked goods made with integrity. 350º baked goods are available at Constellation Coffee, Pipers Pub, Big Dog Coffee, and many other locations throughout Pittsburgh (full list on order page) We offer catering for everything from small, casual events, to showers, weddings and other special celebrations. We also deliver personal orders to local addresses and offer pick-up at our kitchen. Call or Email to place an order today!